It’s for these reasons, and more, that exercise is so incredibly important in the management of cystic fibrosis, both in people who feel generally healthy and people who may have more severe or advanced forms of the condition. From getting you a little closer to the lung function results that you’re after, to enhancing your mood and sleep quality, exercise has numerous benefits for people with CF. And from speaking to some of you, it seems that when you understand these benefits in a little more depth, you become more inspired and motivated to work towards them and become more in tune with the positive changes happening in your body with exercise. Exercise shouldn’t replace other airway clearance techniques like Active Cycle, percussion or using PEP or oscillation devices like a mask or a Flutter. But, you may find that exercise makes your airway clearance quicker and easier by helping to loosen mucus. Less time and effort doing physio? Sounds pretty appealing, right? Cardio exercises like cycling, swimming, running, rowing and a variety of classes will increase your respiratory rate (the number of breaths that you take per minute) and tidal volume (the amount of air you inhale and exhale at a time). With an increase in the amount of air that you inhale and exhale, there’s an increase in the force of the air moving through your airways. This air can get behind stuck sputum and can loosen it from the airway wall. Handy! Plus, if you’re able to do high-impact exercise like running, jumping or skipping, you may benefit from the vibrations of the impact physically shaking away that sputum for easier clearance. HIIT sessions on Pactster with Sophie Holmes will get your heart rate up, lungs working hard and has some optional high intensity moves like the jumps in burpees to challenge you before doing chest physio. The deep breathing exercises in yoga sessions can also help with airway clearance as they improve chest expansion, and yoga postures that require any degree of inversion or forward folding may also help with postural drainage. Try some yoga sessions or breathing technique practise with Katie Malik on Pactster and see if this helps you but take caution with inversions if you suffer with gastro-oesophageal reflux. With regular exercise, oxygen can be extracted more efficiently from the lungs, and your body can better extract that oxygen from your circulating blood. All of this means that oxygen is able to more efficiently serve your working muscles, meaning that you may not become so tired during activity. Future workouts, climbing the stairs, chasing your dog… it may start to feel just a little bit easier as your body adapts. As well as feeling better during activity, there’s evidence that regular cardio exercise can slow the rate of lung function decline in people with Cystic Fibrosis. Even better, some people with CF even find that they are able to increase their lung function scores a little with regular cardio exercise and by challenging themselves with more intense workouts. This full body conditioning workout from professional MMA fighter, Aaron Aby, who also has CF, can help you to improve your cardio fitness. All you need to take part is your own body weight! Muscle weakness can be common in people with CF and is particularly apparent in the lower limbs. This can really affect ability to exercise and impact daily life. Resistance exercise using weights are highly recommended since these can help to build your muscles’ strength and endurance. This workout with Aaron Aby shows you how you can include weights into your workout, even when you’re working out at home. From all the coughing and airway clearance techniques, people with CF often develop strong superficial muscles in their core region, but deeper muscles can often be weak. Deeper core muscles such as the transverse abdominis can assist with your breathing. They’re also really important for stabilising the spine and pelvis for good posture and to prevent issues such as lower back pain. Another set of deep muscles that you should give some attention to are your pelvic floor muscles. These lie within your pelvis, supporting your bladder and bowel. As well as potentially leading to infections, pain and constipation, problems with your pelvic floor are most commonly associated with incontinence. If you suffer from a weak pelvic floor, you may find the issue especially noticeable when you cough, sneeze, laugh, or take part in high-impact activities like jumping or running. It’s annoying, to say the least. We get it. Pelvic floor muscle exercises can cure incontinence in the vast majority of cases and can also do a really good job of helping to prevent problems from occurring. The pelvic floor workout with Amanda Savage on Pactster is a great place to start. Weight-bearing exercise can reduce the risk of low bone mineral density, fracture and osteoporosis that people with CF can be prone to. Weight-bearing exercises can be low impact, such as walking or stair climbing, or high impact like HIIT, aerobics, running, or playing sport like tennis. Resistance workouts like lifting weights are also a form of weight-bearing exercise and are a great way to improve bone density, all through life, slowing the rate of bone mineral loss. The higher the peak bone mass that you achieve, the longer it will take to decrease to a point where the bone is considered ‘brittle’. As with all exercise, it’s best to start young and form an exercise a habit that will last. The muscles of your trunk are responsible for both breathing and posture. If more demand is placed on these muscles for breathing, they’ll be less able to support your posture. Breathing is more important. However, in the long-term, bad posture can hinder your breathing by making it harder to do airway clearance, harder to exercise, and it can make you prone to injury and discomfort. Exercise can help by improving your flexibility and strengthening postural muscles in your back and your core. Give Katie’s yoga for coughing and back relief a try. You may experience some release in tension and learn new techniques for future. Something that comes hand in hand with posture is mobility. Maintaining thoracic mobility is especially important for people with Cystic Fibrosis. Your thoracic spine is the mid part of your spine where your ribs attach. It’s also the part that tends to get quite stiff and flexed. Thoracic mobility is important as it helps to maintain your posture and also the mobility in your rib cage which is needed for deep breathing and chest clearance. One of our favourite videos for this is Stretch, Twist and Tone. It includes a short sequence of exercises to really help you mobilise and open up through those areas. And most of it is done lying down. What’s not to love?! Arthritis has become recognised as a complication of CF. As an inflammatory joint condition, you may find that it limits how much you feel you are able to exercise and you may experience it worsen if you suffer with an exacerbation. We know we’re sounding like a broken record, but really, exercise can help this too! Studies show that yoga practice can help reduce joint pain, improve joint flexibility and function and lower stress and tension to promote better sleep. Meanwhile, other forms of exercise can also help to strengthen the supporting muscles around the affected joints, which can provide relief. Exercising can can help with the overall perception and experience of pain, too. This can be down to the meditative effects of exercise (the focus on counting reps or on your breathing) and the fact that it can serve as a distraction. Perhaps start with some yoga and see how you feel? 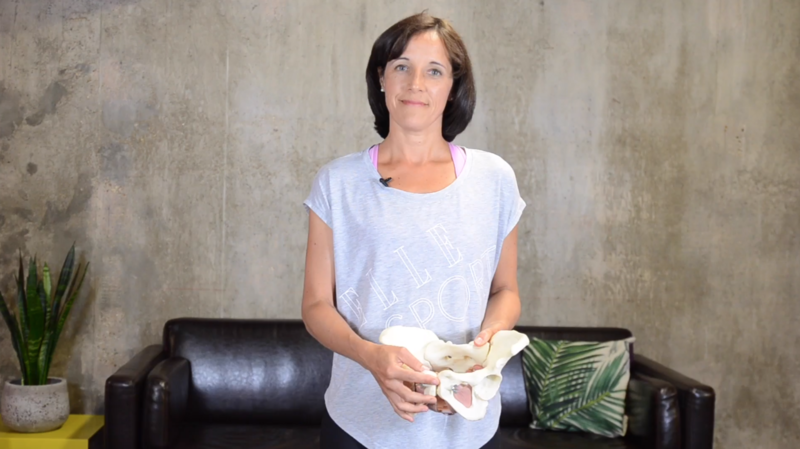 This introduction to alignment with Katie Malik, who has CF herself, can help to ease you in. Different types of exercise give you the opportunity to work on breathing techniques that you can use to improve your breathing control, airway clearance and increase your overall awareness of your airways in a positive way. Yoga, for example, offers a great opportunity to practise ‘belly breathing’ and other techniques to help with relaxation, lung capacity and sinus comfort. Katie does a great job of introducing Pranayama breathing techniques in a 10 minute session on Pactster. Other types of exercise may teach you to inhale or exhale as your muscles contract and relax, to help to control a movement or to deepen a stretch. Try some different styles of workout and see how your breathing changes. Having any kind of chronic condition can take a toll on your mental health, and it’s not at all uncommon for people with cystic fibrosis to feel the effects at some time or other. Research shows that exercise improves mental health by reducing anxiety, depression, and negative mood and by improving self-esteem and cognitive function. It is also a proven way to improve sleep and reduce stress. Of course, there's also the benefit of social interactions that can come hand in hand with exercise. That's exactly why we created communities at Pactster - so that you never feel alone, by working out with other people who genuinely understand you and motivate you. It’s tough having to avoid others with CF due to the high-risk of cross-infection, but Pactster’s group workout schedule and communities give you the opportunity to workout with others with CF at last. We believe that the key to making exercise work for you is to choose activities and workouts that you enjoy, including a good balance of exercise types spanning cardio, resistance and flexibility, and to be as consistent as possible. We don’t care how you decide to exercise, we just want you to help you to move as much as possible so you can experience benefits to your health and well-being. We’ve included a mix of exercise disciplines on Pactster so that you can try something you might not have otherwise, and hopefully this will help you to discover even more things you enjoy. So, what are you waiting for? There’s a weekly timetable packed full of sessions every day and we’re sure that you’ll find something for you. You can check out the latest workout timetable and book onto a session with others to support you on your CF homepage. Or, by all means, take a solo workout whenever and wherever best suits you. Much of the information in this article is based on the 'Standards of Care and Good Clinical Practice for the Physiotherapy Management of Cystic Fibrosis' published by the Cystic Fibrosis Trust.